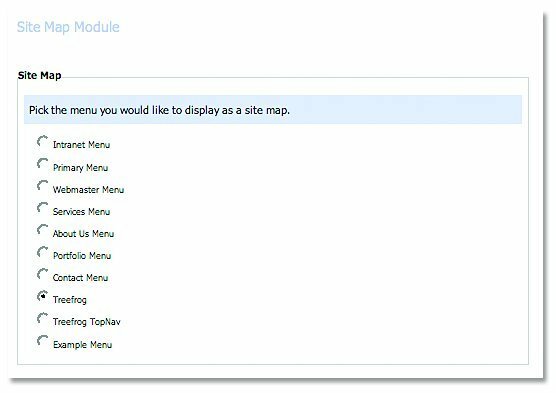 Choose the menu that you would like your Site Map to outline. Note: Normally you would select your main or primary menu. Select the Add Link button. Under the Item field, enter the item or text on which you wish to create a link. 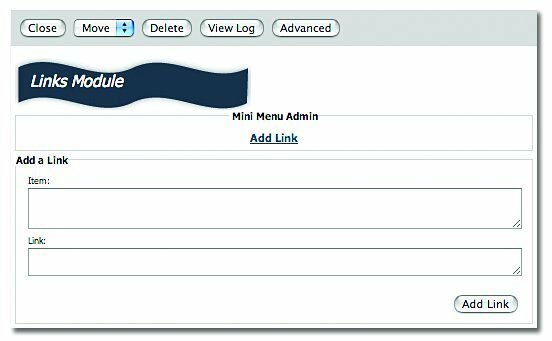 Under the Link field, enter the link to the other page on your site or external site to which you wish to	go. Select	the	Add	Link	button. Select	the	Delete	button	beside	the	link	that	you	wish	to	remove. 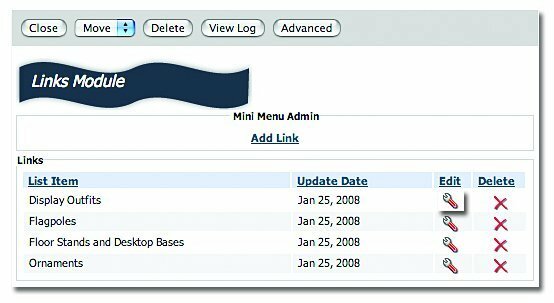 Select	the	Edit	button	beside	the	link	that	you	wish	to	change. Make revisions to the text and link as you require.